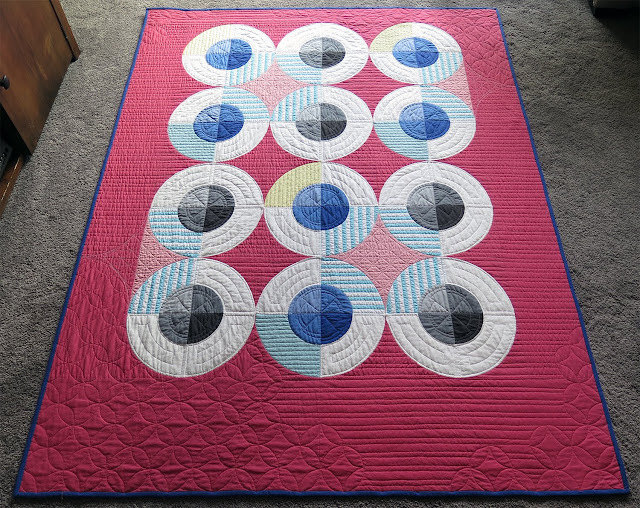 I have a finished quilt to share! I know it's been a while but there's been a good reason for that. I've had a project, that I can share at a later date, that needed to be wrapped up before I could start on a new project. Inspiration comes out of no where sometimes and when you least expect it. 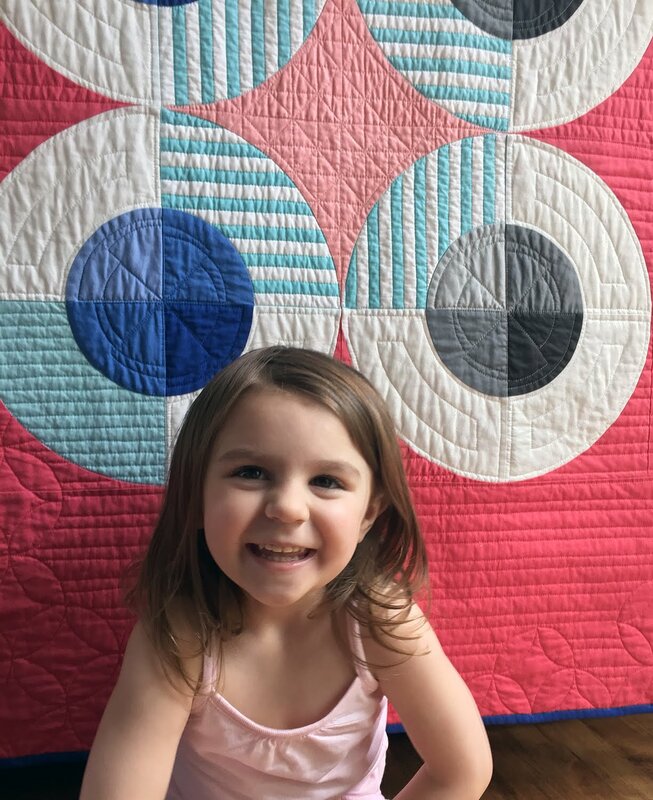 I had posted a picture of my Modern Stepping Stones mini on Instagram and Jenny ( @papersaxsten ) made a comment about the piecing process. In the back of my mind I knew Jenny had a Double Drunkards Path template and as soon as I saw her comment this design began to form and I had to get one of her template sets. 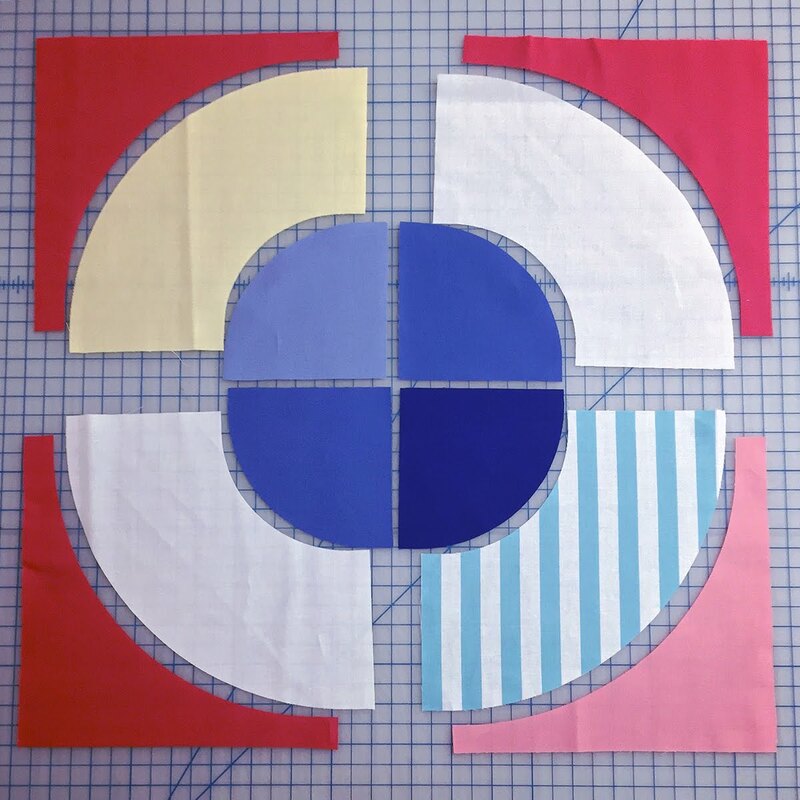 It's really a well designed template that even includes a squaring up template that made matching up seams so easy. I'd recommend it in a heart beat and Jenny has done some pretty amazing designs with it, see her Instagram account for more pictures. 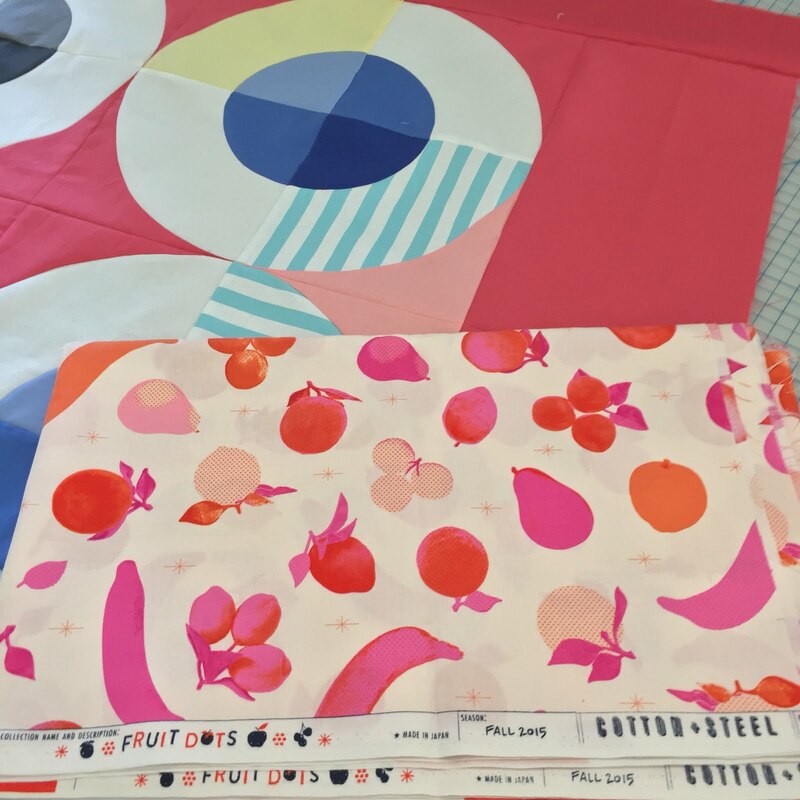 Fortunately, I had the perfect print in my stash for the backing, and yes it ended up being another Melody Miller print for Cotton + Steel. I spent several days deciding on a quilting motif and finally settled on a combination of horizontal lines and orange peel. I wanted to make sure that the quilting kept with the summertime feel I was going for. The name. From the beginning of the design I knew I wanted this quilt to feature Nantucket red, a fav of my for many years, and that color was the jumping off point for the name too. I was leaning towards a summer name but then my sister in law mentioned using clambake in the title and I instantly liked it mostly because it fit but also because I love old movies and like Bing Crosby, He's from Spokane you know. 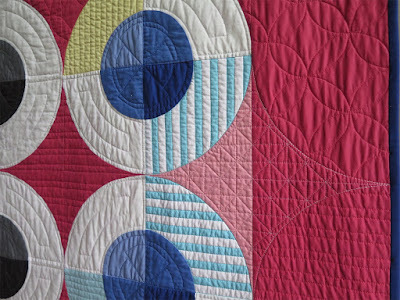 All in all this design came out of nowhere and fell into place, sort of like Modern Stepping Stones and Urban Trek did. 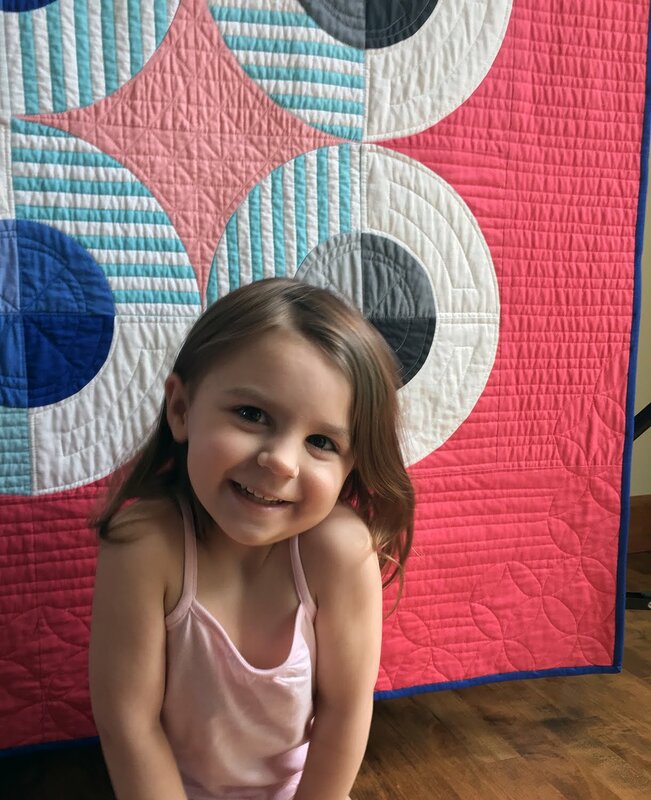 Finally, no good quilt photo shoot is complete with out a helper and she's just too cute to not share. This is just SO striking and I love the red you used! 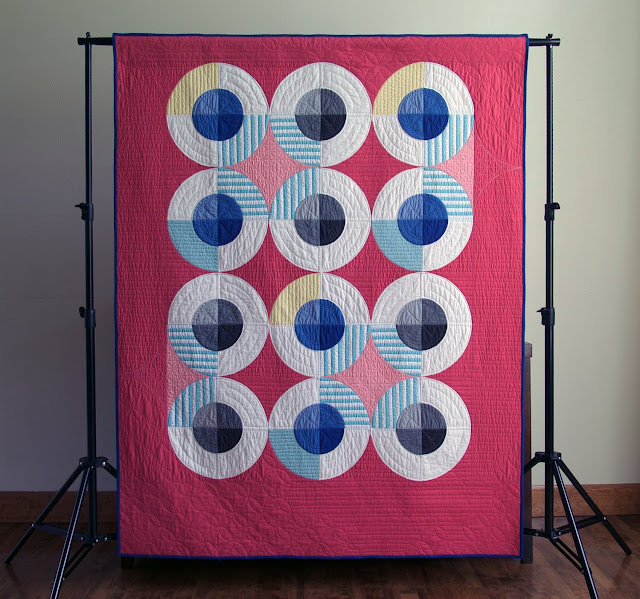 How you used color is so inspiring and your quilting! What interest it adds to your design! Would it be ok to share this in my upcoming newsletter, and link back? Thank you and of course, I'd be thrilled!! I'm glad you like the red it really was the foundation of the design. WOW! WOW! WOW! 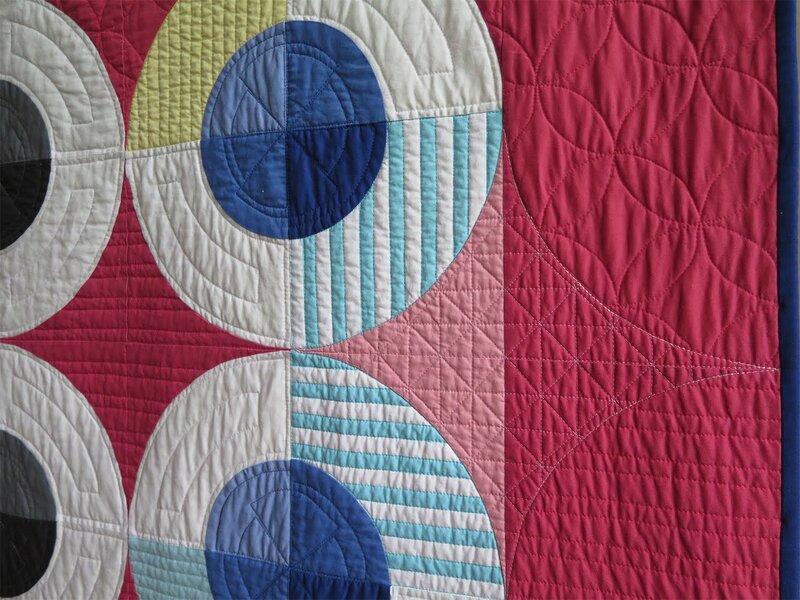 I love the stripes, the quilted textures and the colors. It is just stunnning!! Saw this quilt on MSQC Quilts by Me--sew creative! Had to follow your blog. Love your style!